In its pre IFA 2012 press event today, Sony announced 3 new Xperia Smartphones. 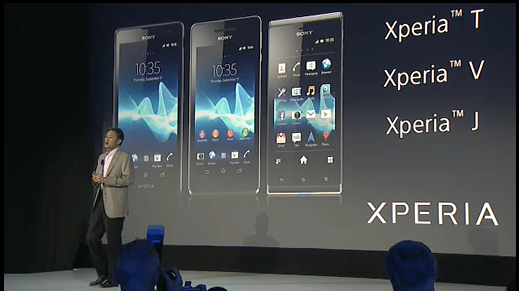 The Xperia T, Xperia V, and Xperia J. They were lite on details, but I’m sure we’ll know more in the coming days. This is all we’ve got for now. IFA 2012 starts in two days so we should have more for you soon. To see what else Sony has lined up check out theirlivestream.